Before they were famous, Adele, Sam Smith, James Bay and Florence + The Machine were earmarked for success by the Brits Critics’ Choice award. Now three new acts are vying for the title as the prize marks its 10th anniversary. 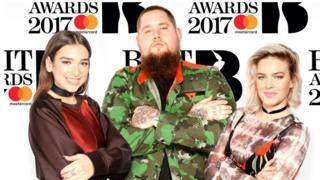 Pop diva Dua Lipa, blues singer Rag N Bone Man and dance vocalist Anne-Marie all make the shortlist, which is voted for by music industry experts. The winner is announced on 8 December, ahead of next year’s Brit Awards. 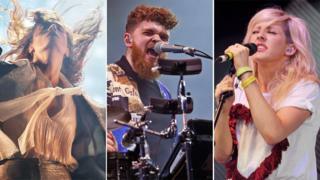 Unusually, all of this year’s nominees have already tasted chart success in the last 12 months. Anne-Marie is currently number one as the featured performer on Clean Bandit’s hit Rockabye. Dua Lipa, who was on the BBC’s Sound Of 2016 list earlier this year, has scored hits with her singles Hotter Than Hell and Blow Your Mind (Mwah). 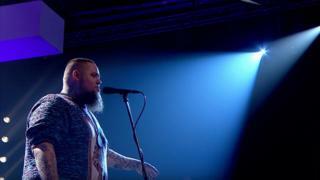 Rag N Bone Man, meanwhile, has been number one for nine weeks in Germany with his soul-stirring ballad Human. The song is set to enter the UK chart for the first time this week after being performed by X Factor contestant Emily Middlemas. The nominees were chosen by a panel of music industry experts – from critics and record label employees to heads of the UK’s biggest radio stations. The winner will receive a statue designed by late architect Zaha Hadid, and will get to perform on the Brit Awards launch show live on ITV on 14 January. Before they become ubiquitous, brush up on the nominees below. 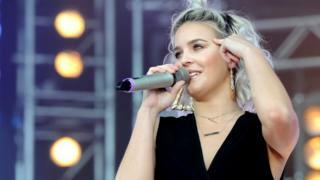 After two stints in Les Miserables as a child actress, Anne-Marie was hired as a touring vocalist for dance collective Rudimental. They liked her so much they signed her to their label. Her solo single Alarm hit number 16 earlier this year and has been streamed more than 100 million times. Did you know? Anne-Marie is a three-time world karate champion. Born in London but with an Albanian heritage, Dua Lipa attended the Sylvia Young stage school until, aged 13, her parents returned to Kosovo. She lasted two years before fleeing to London, where she worked in nightclubs to pay for her singing career. Possessed of a smoky voice and a hip-hop sensibility, she is due to release her debut album in February. Did you know? She once got in trouble for throwing bubble bath at a policeman. Born Rory Graham, singer-songwriter Rag N Bone Man is the unlikely missing link between blues giants like Robert Johnson and the soulful pop of Sam Smith and John Newman. His gruff, emotive voice brings his tales of love, loss and redemption vividly to life – something his huge European fanbase have cottoned on to before the UK. Did You Know? The singer’s chose his stage name because he’s a fan of the sitcom Steptoe and Son.